Laser cut birch necklace made of 100% brass. 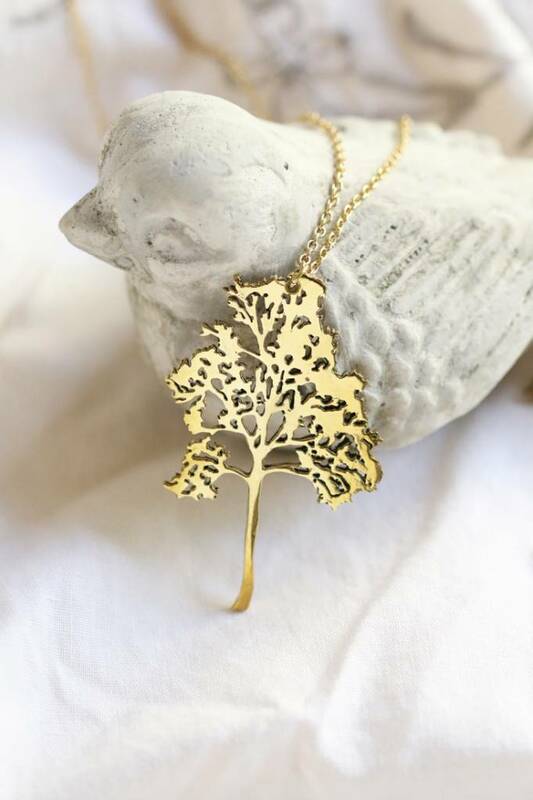 A west coast icon, this majestic birch tree has been laser cut from 100% brass, making it lightweight but durable. 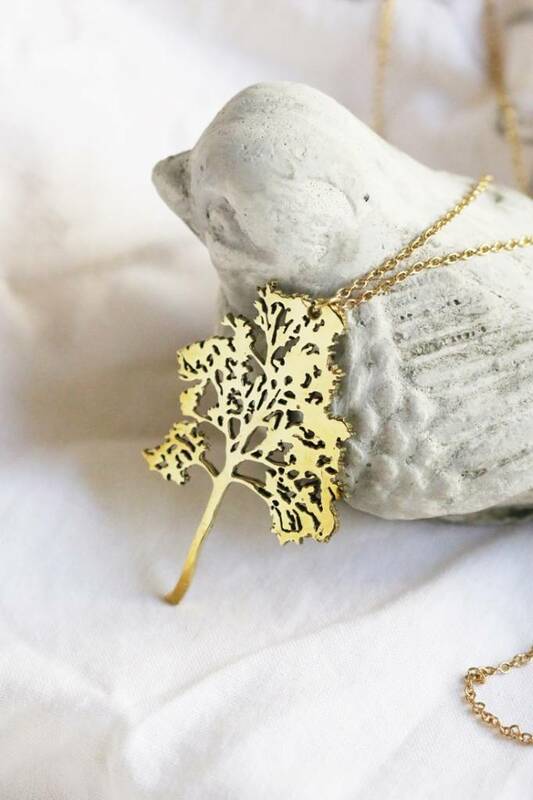 Hung from a 30" chain, this gorgeous necklace is the perfect gift for your favourite nature lover. From Migration's in-house line and made in small batches, each one is unique and nickel free.